I love the flavour of Mint. 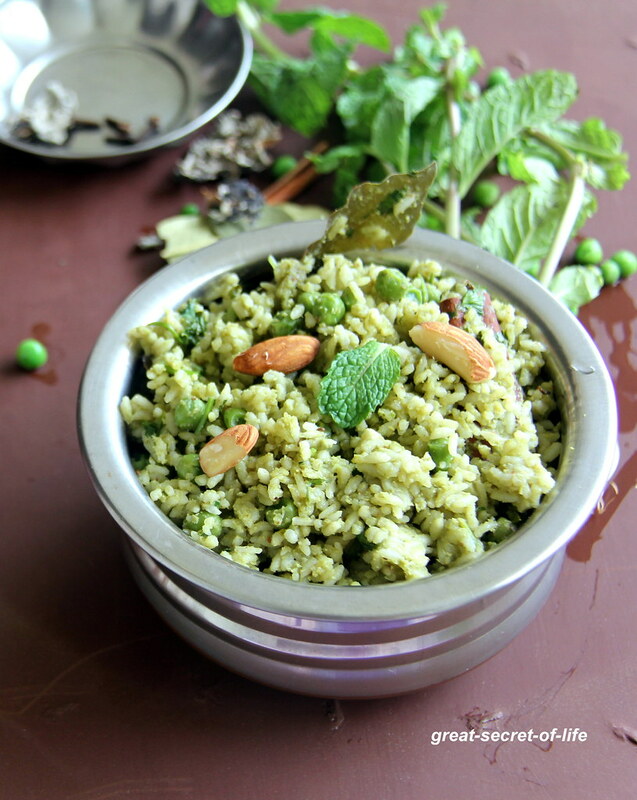 I wanted t o do this Mint Peas Pulav for quite sometime..My second son hates peas. 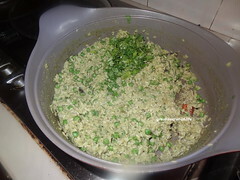 So I seldom do Peas rice.. But whenever I get chance I will try to do. 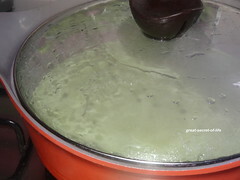 It is very quick lunch box recipe. Perfect for party too.. 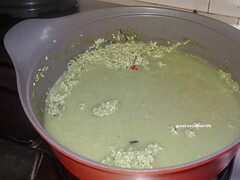 If you like Mint flavour for sure you will love this.. Try it out. 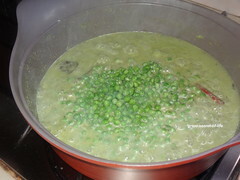 I have used frozen peas so I have added peas after rice is half cooked. 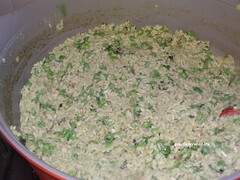 If you are adding fresh peas add it when you add rice..
Wash and soak rice for 15 mins. 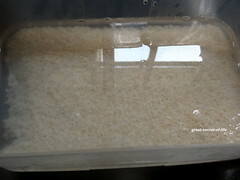 Drain extra water. Keep it aside. 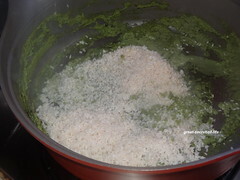 Grind all the ingredients under To grind to paste section with little water. 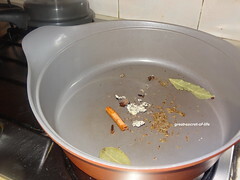 Let it cook completely. 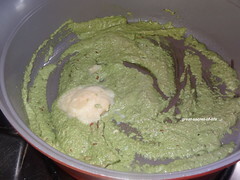 Add chopped coriander and 1 teaspoon of lemon juice. Mix well. This pulav reminds me of my mom's pudina pulav. 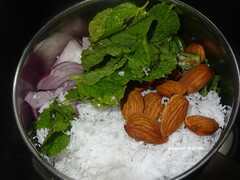 Love the way mint adds flavour to the dishes. Yummy Veena ! 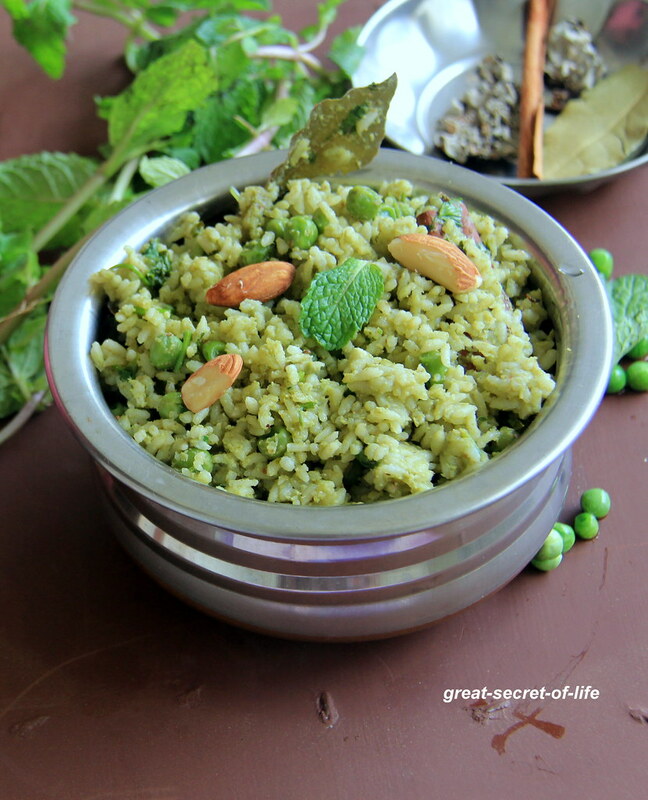 Just love the green color, so full of flavor too..
My kids too hate peas :) This pulao sounds so flavorful and yummy...loving it! I can smell the rice :-) Looks so flavorful and YUM! So flavorful... love the color! 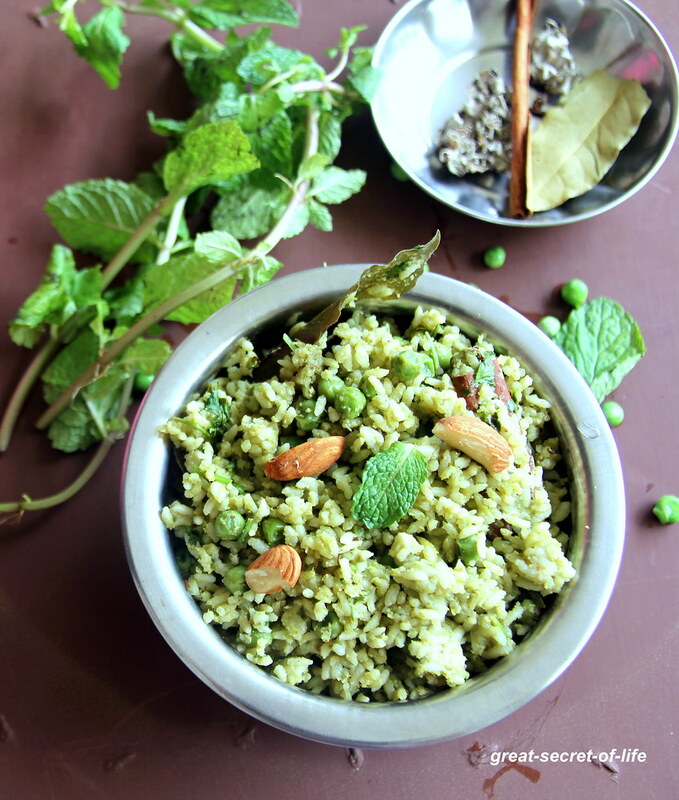 Delicious and flavorful peas mint pulao.